מחזיק מטבע "Kointong" Kointong Coin Gripper is the perfect way to hold your coins without touching them and getting dirt and oil on your coins. 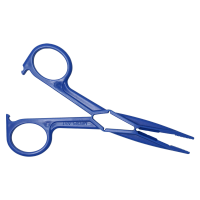 The tongs will hold all coins, rounds or bars up to 25 mm thin and are made from non-scratch plastic to help prevent scratching. They are also ideal for holding precious metals when dipping them in a tarnish remover (test the tongs first). Rubbing precious metals is never recommended. To remove tarnish and other blemishes consider using E-Zest Coin Cleaner. Silver products shown in the pictures are not included.